The Disney California Adventure Food & Wine Festival at the Disneyland Resort is back for another year of tasty treats and special events. I had the chance to attend opening day in 2019 to get a first look at the fun that Disneyland is offering festival-goers this year (I also attended several days in 2018). If you are thinking of planning a Disneyland visit this spring to check out Disneyland’s version of the Food & Wine Festival, here are the details you need to know to make the most of a trip. When. Disneyland’s Food and Wine Festival takes place in early spring every year, usually spanning the spring break periods of most U.S. schools. In 2019, the festival dates run longer than ever – from March 1 until April 23. The Festival is now happening daily and not just on weekends as was the case a few years ago, so even more visitors can enjoy the food and events. What. The festival is a special event held in Disney California Adventure park where “festival marketplaces” (small food stands) are set up in strategic areas of the park. These marketplaces serve speciality food and drink that you cannot find at the Disneyland Resort the rest of the year. There is also plenty of live entertainment as well as special seminars for festival goers (more on all that later, so keep reading). Where. Food & Wine is located entirely within Disney California Adventure park (DCA). The bulk of the activity is along the pier area, starting just past Carthay Circle Theater and extending past Goofy’s Sky School to the Festival Beer Garden. There is an additional mini-hub with an additional festival marketplace and one stage in Hollywood Land as well, so don’t miss this location. If you want to visit attractions in Disneyland park the same day you visit Food & Wine, remember that you’ll need a park hopper ticket. Cost. There is no cost for attending the basic events in the festival. The festival marketplaces and stages are open to anyone with a park ticket to DCA for the day. However, there are a number of special events like celebrity chef demonstrations, wine and beer tastings, Sweet Sundays and more, that cost extra. Reservations are usually required for these special ticket events as well. And, of course budget for food and drink purchases at the festival marketplaces! Keep reading to find out how to save money on your food selections. So now that you know the basics, let’s get on with the nitty gritty details. What is there to do and see? And eat and drink? There is so much food and drink at the festival that I’m not even going to try to comprehensively cover it all. Unless you have a bottomless budget and a couple of days to devote to only drinking and eating, you won’t be able to cover it all either. My best advice is to pick up one of the small “Tasting Passport” booklets that list all the menu items and scan it to find foods that fit your tastes. There are photos of each menu item posted on the festival marketplace wall so you can sneak a peek before you order. The Disney Parks Blog’s Foodie Guide to the 2019 Food & Wine Festival is also another smart place to scope out the food even before your trip. For the sake of research, I did eat and drink much more than the average festival-goer. Here are my top seven favorite dishes and non-alcoholic drinks to help guide your purchasing decisions. Full disclosure: I’m a Southern gal who loves meat and carbs so my choices probably reflect these tastes. But Disney chefs know how to do vegetarian and vegan foods so well, and I must admit that I was surprised to find one of those items making my favorites list! Creamy Mac & Cheese with Garlic Breadcrumbs (Garlic Kissed) – $7.75 — This is probably the most kid-friendly item at the festival. There is also a Ghost Pepper Mac & Cheese at Peppers Cali-ente for the same price that was to die for if you like a little spice! Grilled Harris Ranch Beef Tenderloin Slider (Cluck-a-Doodle-Moo) – $8.50 — This slider has been a staple of the festival every year and is the most-sold entree. Salt and Vinegar Parmesan Chicken Wings (Cluck-a-Doodle-Moo) – $8.00 — Perfect for sharing and another dish many kids will love. Impossible No “Meat” Ball Submarine with Marinara Sauce Topped with Soy Cheese – $11.99 full size (with smaller Sip & Savor portion available) — Believe it or not, this is vegan and it’s delicious! Like a real meatball! Esquites Sweet Corn Nuggets with Bacon Lardons (Off the Cob) – $6.25 — The salty bacon balances out the sweet corn well with a little nugget crunch. Strawberry Float with Vanilla Ice Cream, Whipped Cream & Crunchy Cereal Garnish – $6.50 — Ice cream float with a sweet berry taste, but the Captain Crunch cereal on top makes it extra-fun. Portions are intentionally on the smaller side to enable tasting and are priced accordingly. That said, for an adult, one dish is definitely not enough for a meal. If you plan on doing more than just snacking, budget for 2-3 dishes per adult per meal (1-2 for younger kids). Sharing is a smart strategy if you want to taste more variety. The other big part of the California Food & Wine Festival in Disneyland is the special performances and events that take place all over the park. Is the Disneyland Food & Wine Festival Kid-Friendly? With a name like Food & Wine, I’m sure a lot of families are questioning whether this is really an event for kids. Will your kids eat the more unique recipes the festival features? Will the booze be flowing a bit too freely for families to feel comfortable? Let me at least put those fears to rest. While there have been a few reports of partying at Epcot’s Food and Wine Festival getting out of hand at Walt Disney World, I saw none of that behavior at Disneyland. Adults were imbibing responsibly. We Californians may drink a lot of wine, but that just means we know how to handle it too. As for the food, there are certainly dishes many of your little picky eaters might not try, but there are some kid-friendly gems in the bunch. Disney even lists the more kid-friendly options in the Tasting Passport booklet that festival goers can pick up. For the pickiest of eaters, I’d recommend the creamy macaroni and cheese at the Garlic Kissed festival marketplace, minus the garlic breadcrumb topping. I can’t imagine most kids turning up their noses at that. 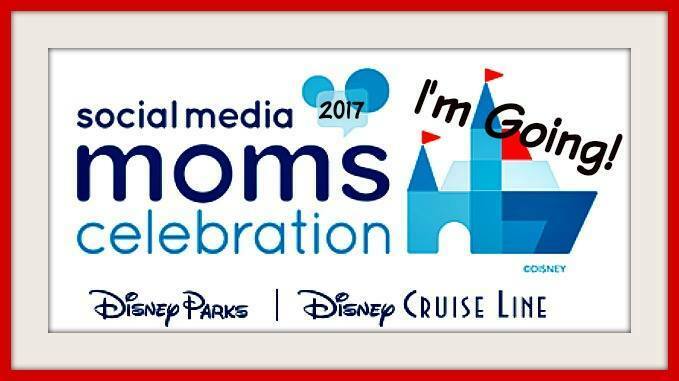 I attended without my kids for the media opening this year and also for a girls weekend in 2018, and it was a blast for adults. But I’d certainly not hesitate to bring my kids back in future years. That said, visitors with kids would benefit from knowing a few insider tips to make the most of the experience. First and foremost, the highlight for kids is the Junior Chef experience. Kids ages 3-11 can cook with Goofy over in Hollywood Land at the festival stage there. If your child is dead set on this experience, arrive early (at least 30 minutes in advance), as there is no advance signup or FASTPASS available. Second, be aware food lines can get long for the festival marketplaces, especially around mealtimes. Your kids are probably not going to want to stand in one more line at Disneyland. Go early or go late to minimize waits and dodge bigger crowds. One strategy for families might be for one parent to grab a table at the Festival Beer Garden or Pacific Wharf with the kids after getting food at a first marketplace. Then have a second adult in your group pick up additional food at other marketplaces. I picked up one hot tip for 2019 that will save everyone – families and otherwise – a ton of time. Disneyland now allows guests to order food from any marketplace at the cashier at every marketplace. The lines for the cashiers are usually longer than the lines for the food pickup. So find a festival marketplace with the shortest cashier line, place your order there, and take your receipt to the pickup window of the marketplace serving that food for quick pickup. Disneyland is calling this their “Find the shortest line” rule. It is little known and under-utilized! Ample seating at the Festival Beer Garden may be the right spot for families to camp out. Finally, kids would really enjoy a few of the other special performances during this year’s festival. Musical act the Jammin’ Chefs put on a great act that gets kids up to dance and play with them. There is also a new Family Time free seminar where parents and kids can learn about cooking family meals together. If you have a young budding chef in your family, one child joins the chef on stage – an amazing opportunity for true kid foodies. Pick up a Tasting Passport booklet. Cast members have small “Passport” booklets that include a map and a list of all the food and drink options at each festival marketplace (although not the prices). Buy a Sip and Savor Pass. If you want to taste a lot of different items or just feed a family while saving money, the “Sip and Savor” pass is a must buy. This pass allows guests to try 8 food items or non-alcoholic drinks for a set price. While this pass was available only to annual passholders in previous years, Disney has opened it up to everyone this year. It’s $49 for annual passholders and $54 for all other guests. Book special experiences ahead. If you want to do any of the special ticketed events, plan and book early. When I first attended in 2018 I considered doing a special event, but by the time I checked a few days in advance of our visit, many were already sold out. The booking window for the entire festival opens 60 days in advance of the festival start date, so plan ahead for next year! Find the shortest line. Don’t stand in long cashier lines if you don’t have to! Take advantage of Disneyland’s new rule where you can order from any marketplace at the cashier at every marketplace. From what I spotted, there were often shorter lines at Veggie Veggie Fruit Fruit and I Love Artichokes. So place your order there and take your receipt to other marketplaces for quicker pickup. Eat early (or late). The lines at the festival marketplaces can get long, so try to skirt the crowds if you can by avoiding peak mealtimes. The ones I noticed that were especially long were Cluck-a-Doodle-Moo and Garlic Kissed (where some of the most kid-friendly dishes can be found). Note too that some food items do sell out on busy days so if there is a dish you HAVE to try, I’d recommend getting it first. Bring your ID. While I didn’t get carded (because I’m not as young as I used to be), bring your ID if you want to imbibe. You never know when you might need it. Go when some APs are Blocked Out. With all the perks and the draw of a special event, Food & Wine draws a lot of locals. To avoid crowds, look for dates when a lot of the local passes are blocked out from entering the park (see pass blockout dates on the Disneyland site here). Gotta get the ears. Every special event at Disneyland has tons of merchandise that is hard to resist. But the must-have item of this year’s Food & Wine Festival is undoubtedly the purple ears complete with a golden fork and spoon. The Food & Wine Festival merchandise kiosks often close before the park closes, but don’t worry about missing these. At least for now, you can also find these also in Elias & Co. at the end of night if you shut down the park like I tend to do! Arrive early for Junior Chef. If you have a little Emeril in the making who must do Junior Chef with Goofy, plan head. The cast member experts we talked to recommended up to an hour in advance to ensure your spot on the busiest weekends. There is no pre-signup like there was for Jedi Training Academy when it was around. So grab some food, camp out, and be patient! Look for more than just festival marketplaces. While the 14 festival marketplaces get all the attention, there are even more locations where you can buy festival food, most of which is eligible for Sip and Savor pass usage. Look also for Festival Food and Beverage carts sprinkled throughout DCA. And Paradise Garden Grill has a special menu all its own for the festival (complete with Sip and Savor size smaller portions in addition to full size meals). There are 21 physical locations where you can buy food this year as the festival gets bigger and better. Food & Wine Festival Merchandise Giveaway! Saving Money on Your Visit to Disneyland Food & Wine! I always want my readers to get the best deals on their Disneyland vacations. After all, saving on tickets, hotels, and transportation means more money to taste a few extra dishes or attend that special wine tasting you have been eyeing! I recommend and have partnered with Get Away Today, a top seller of Disneyland and SoCal vacations, for some amazing Disneyland ticket and vacation discounts. If you are planning a multi-day visit, it is as simple as booking your tickets or vacation packages with them and saving every time. Use promo code TYKES10 for an extra $10 off all package stays of 2 nights or more. Disclosure: I was a guest of Disneyland for the media opening day event of 2019’s Food & Wine. As always, all opinions are my own. I always enjoy the Food and Wine Festival. It is good to see that it is taking place on weekdays too. Thanks for this super detailed and helpful article! I have not been in over 20 years and will be visiting during the Food & Wine Festival. This will be the first visit for my family members! The Disneyland with Kids FB page have been so helpful as well. Thanks for all you do!